Natalia Dumitresco was a French-Rumanian abstract painter. She is linked with the Réalités Nouvelles art movement that evolved in the School of Paris circle after the end of World War II. Dumitresco's style of painting followed closely this movement which was influenced by the art of Wassily Kandinsky and Alberto Magnelli. Other artists who were associated with this group of painters were Serge Poliakoff and Alexandre Ishrati. Dumitresco later married Ishrati. Beginning in 1952 Dumitresco won many prestigious awards, including one from the group Espace in 1952. 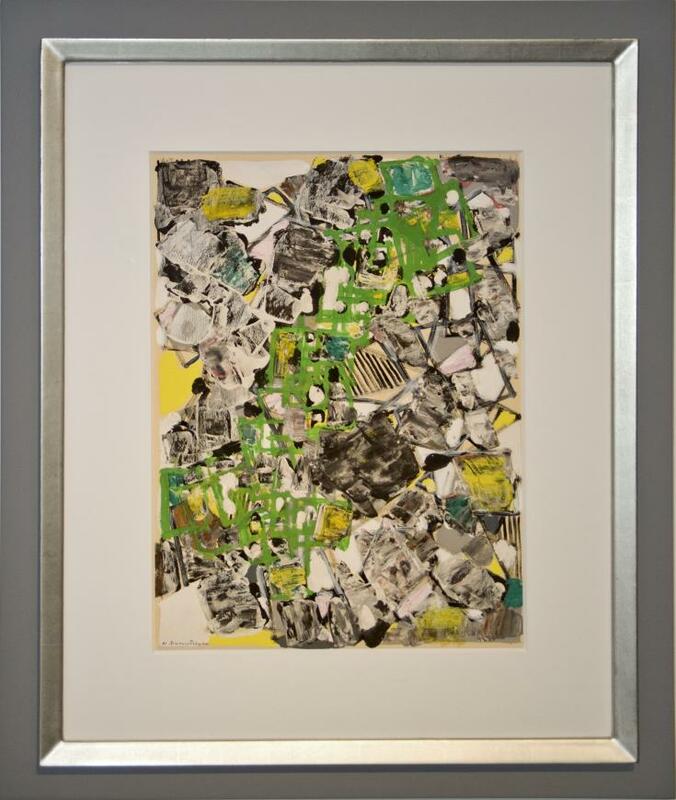 She was also the recipient of the 1955 Kandinsky Award and in 1957 Le Prix des Amateurs et Collectionneurs d'Art, as well as the Carnegie Prize in Pittsburgh in 1959. 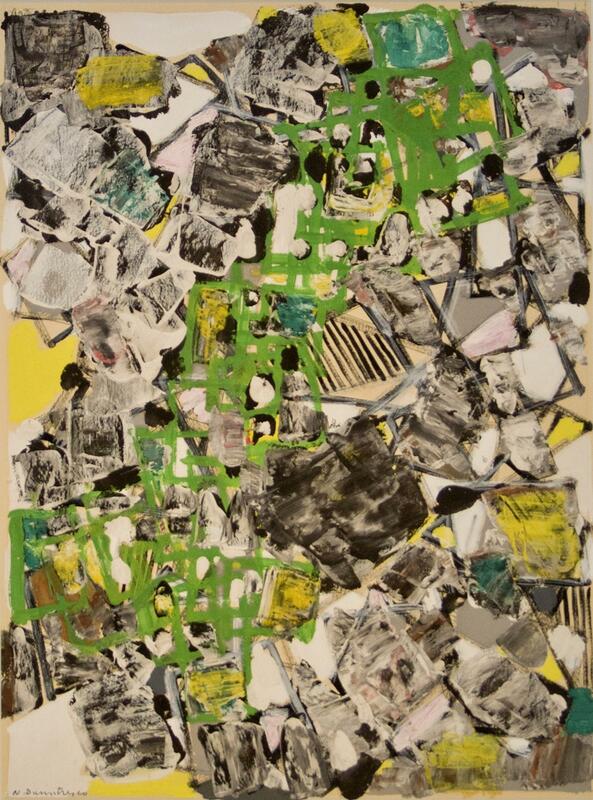 Yellow and Green Composition is an excellent and dynamic example on a small scale of Dumitresco's work. She initially worked exclusively in black and white. Later she would work in colors but often some reds or blues within a white and gray palette. All her compositions were energetic and speak of nature and movement but the vivacity of this color palette makes the work even more alluring. The early period of the 1950's would prove to be the finest of Dumitresco's career. The highest values achieved for artists of the school are always their works from the 1950's. The art of Dumitresco will no doubt be further explored going forward by art historians and devoted collectors as this school of painting is more critically received and reviewed. This school of painting is undervalued but has started to be re-explored and collected as it is a parallel movement to our Abstract Expressionist period in the United States.